After a motorcycle accident left a man with more metal than bone in his left thigh, he decided to upcycle the smashed remains left over from the operation. 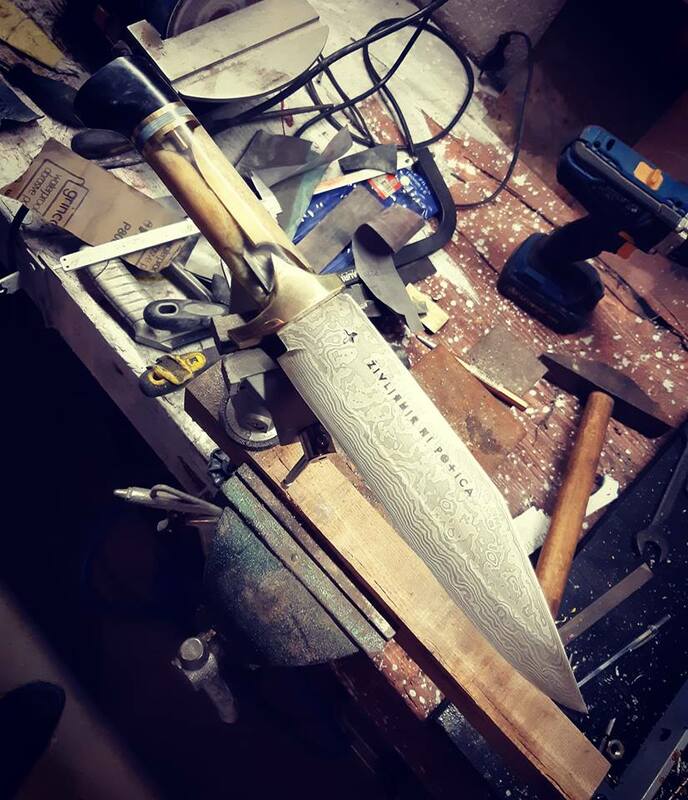 Slovenia knife maker Lenart Perko this week posted photos of a blade he crafted for Moreno Skvarča recently. In addition to 15Ni20 nickel and 1095 Damascus steel, the blade’s handle was made from bone fragments provided by the motorcyclist. The etched text on the blade in Slovenian means: “Life is not a piece of cake.” Perko said he had to stabilize the bones with heat activated resin. The post Guy shatters femur, uses shards for possibly the most metal knife ever appeared first on Guns.com.